Just bought two of these mini speakers for when I'm at work in the car as the cars don't have normal radios. The sound they kick out is genuinely impressive for such a small unit, and the ability to link them together in a chain is pretty cool. Essentially you just plug one speaker into the audio device, and if you have more than one speaker, you link the subsequent units together with the integrated audio cables. The only negative I have is the low bass notes (which always suffer on a mini speaker). However, for such a small unit, the bass they offer is the best I've heard (and it better be at almost £40 each!!). 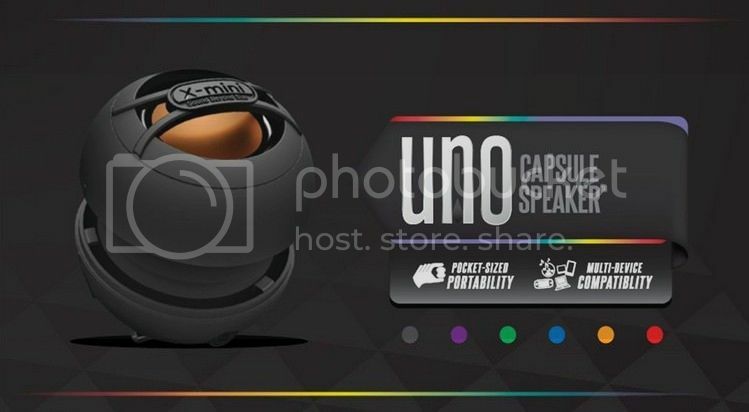 Does anyone else have any experience with portable mini speakers? Yeah, problem is I can only have one earbud in at a time if I'm at work, so I wanted some speakers because I hate having sound through one ear, it just totally ruins the music. Probably unrelated, but Cody actually reviewed these "speaker tubs" that are basically just driver bowls that you place on a surface, which act as the diaphragm. It's really weird, but probably not work-friendly.